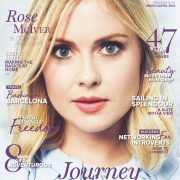 This week-end (Saturday and Sunday), Rose McIver is attending Emerald City Comicon for Photo Ops, Autographs and Panels. She will be there alongside David Anders, Danielle Panabaker, Lana Parilla, Nathan Fillion, Robbie Amell, Sean Maguire, Chyler Leigh, Elden Henson, Keiynan Lonsdale, Melissa Benoist, Norman Reedus and more. 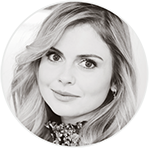 10:30am EDT: ECCC 2016 is starting for Rose McIver! She is currently doing her first session of autographs/photo ops until 12:30pm. 2:30pm EDT: Rose and David Anders are back from lunch and making their second session of autograph/photo ops until 3:45pm. 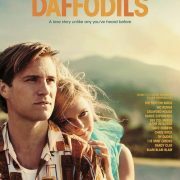 4:00pm EDT: Rose and David are on-stage for an exclusive Q&A panel with fans. For those who missed the live panel, you are lucky because you can watch it below (go to 2:05:00) Thanks to iZombie Podcast! Rose and David are giving us some fun facts about ‘iZombie‘ and ‘Once Upon A Time‘, and also much more. ‘iZombie’ Panel: Screencaps of the Panel have been added. Be sure to check them out in our gallery! 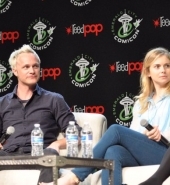 ‘iZombie’ David Anders and Rose McIver Interview: Also added some screencaps of the ‘iZombie‘ Live Interview made at the ECCC. 10:30am EDT: ECCC 2016 Day 4 is starting for Rose McIver! She is currently doing her first session for the day of autographs/photo ops until 11:05am. 12:15pm EDT: After a brief pause, Rose is back with David Anders for some autographs/photo ops until 1:15pm. 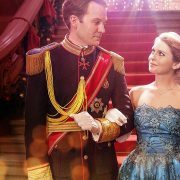 2:15pm EDT: Rose and David are back from lunch! They begin their latest sessions of autographs/photos ops until 5:00pm. 6pm EDT: The convention is over now. We had some fans telling us stories of their encounter with Rose, she seems so down to earth, kind, lovely and much more. We can’t wait to retranscript them and share it with all of you. 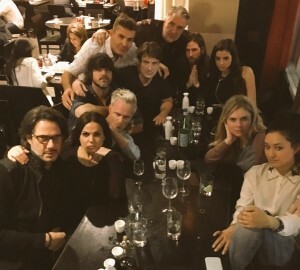 9pm EDT: After the end of the convention, some actors (such as Lana Parrilla, Nathan Fillion, David Anders, Nolan North and more) came together in a restaurant to share a moment. Stay tuned on our site, we will share all HQs photos of this convention as soon as they will be available!